Born and raised in southern Oregon farm country, Ellie Spaneker flees her home and abusive husband, her trail dogged by a brutal ex-cop in the hire of her vengeful father-in-law. In Portland, retired homicide detective Skin Kadash fills his idle days drinking coffee and searching for Eager Gillespie, a teen runaway of special interest as the only witness in a troublesome and long unsolved murder. Eager, meanwhile, is on his own, grifting and working the angles in the homeless underground, oblivious to the unfolding events which will force him to face the consequences of a crime, and a longing, which has haunted him for years. These disparate trails converge at a bloody standoff, the harrowing end of a string of violence which stretches from the high desert to the streets of Portland. 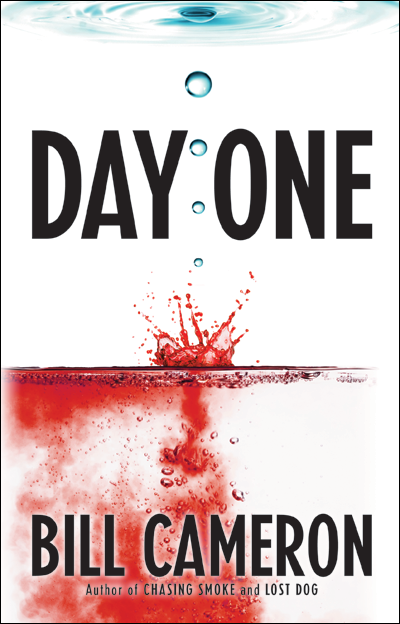 In the year-end edition of the Portland Mercury, Gabe Barber of Reading Local selects Day One as one of the best books of 2010. Ryan Pfeil of the Klamath Falls Herald & News writes about Day One and its southern Oregon settings.